Coming up with the cash needed to buy a home outright can be a major obstacle for many home buyers. A mortgage can be a great way to finance a home purchase over an extended period of time. The mortgage appears on your credit report. Making prompt payments on the debt can help raise your credit score, and paying it off early may have a similar affect. Keep in mind that a mortgage loan is an installment loan, which is a loan for a set amount that is paid off over time with equal payments. When you have an installment loan, you make regular payments on the loan. These payments are usually for a specific amount each month. Generally, as you make your payments, the outstanding amount due on the loan decreases with each payment. Installment loans are often used to finance large purchases. Other examples of installment loans include car loans and student loans. How much debt you're in matters to your credit. The amount you owe on your debts accounts for 30 percent of your score. When it comes to installment loans, such as a home mortgage, FICO looks at the beginning balance of the loan versus how much you've paid off. The lower the balance goes, the better it is for your credit. Paying off a mortgage early can help increase your score because it reduces the amount of debt you have. Generally, less debt equals a higher score. How much your score increases depends on the other information in your credit file. A credit report reflects your credit history. The payment history on your mortgage loan will remain on your credit report even after you've paid it off. Positive account history, including on-time payments, stays on your report for up to 10 years. Negative information, such as late payments on the mortgage, stay on the report for up to seven years from the date they occurred. Even with negative history on the report, your score can still improve. The older a negative item gets, the less of an impact it has on your score. There are other steps you can take to improve your credit. To maximize your score, FICO suggests paying down your overall debt levels. This includes installment loans. It also includes revolving debt, such as credit cards. For revolving debt, FICO looks at your credit utilization, which is the amount of debt you have versus your credit limit. The more available credit you have on a credit card, the lower this ratio and the higher your score. According to Liz Weston at MSN Money, it's best to keep credit card balances at or below 30 percent with less than 10 percent being ideal. 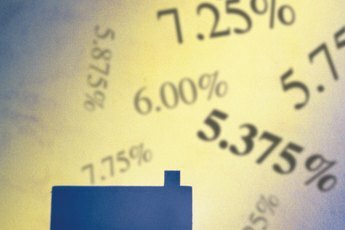 How Does New Debt Affect Mortgage Applications? 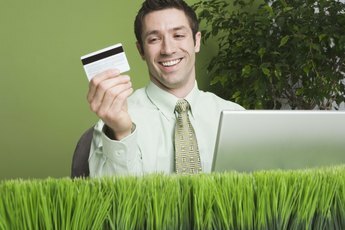 Will a Settlement With a Credit Card Company Show on My Credit Report? Do Slow Pays on Mortgage Affect Your Credit? Does a Credit Score Lower When Pulled for a Mortgage?